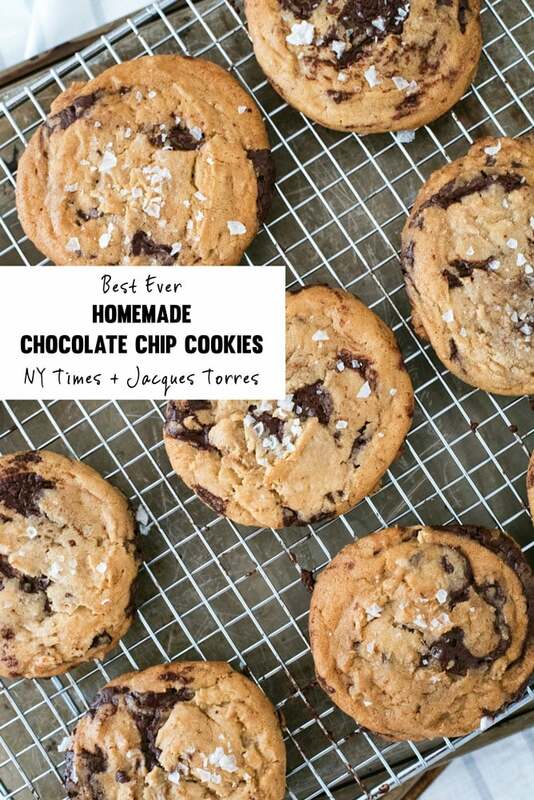 A recipe for freaking fantastic chocolate chip cookies by Jacques Torres, via the New York Times. Absolutely worth the planning and fancy ingredients! A few years ago, I published a recipe for chocolate chip cookies and called them the best I’d ever made. At that point, this was true. I still make that recipe all the time. I almost always have a bag of them individually partitioned in the freezer ready to pop in the oven for those unexpected guests. That being said, they are no longer the best cookies I’ve ever made. 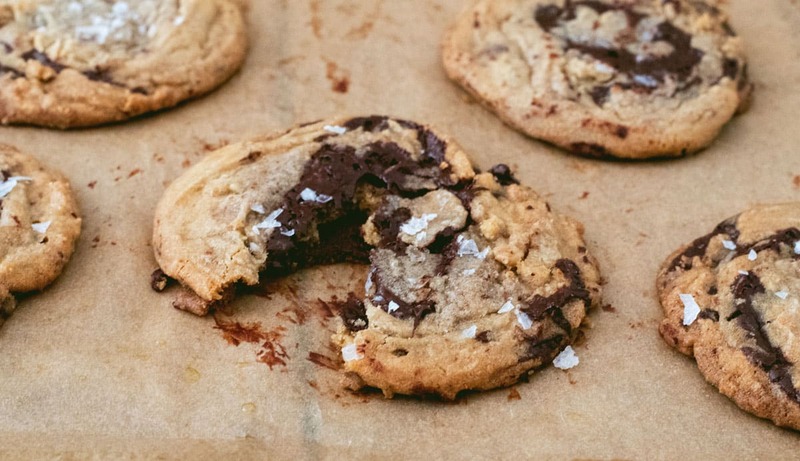 This recipe is both the best chocolate chip cookie I’ve ever made and the best I’ve ever eaten. They are perfectly soft but still chewy and féves, or discs, of chocolate, make every bite packed with melty chocolate. They are insanely delicious. If you’re going to go through the trouble of making them, I implore you to not take any shortcuts and to not make any substitutions to the recipe. They are 110% worth it. The high-quality chocolate féves can be found on Amazon, or at specialty markets. They are not cheap, but this quality ingredient is one of the things that sets the recipe apart. I deserve absolutely no credit for this recipe. It’s a wildly famous recipe by Chef Jacques Torres that was published in the New York Times in 2008 to wide acclaim. 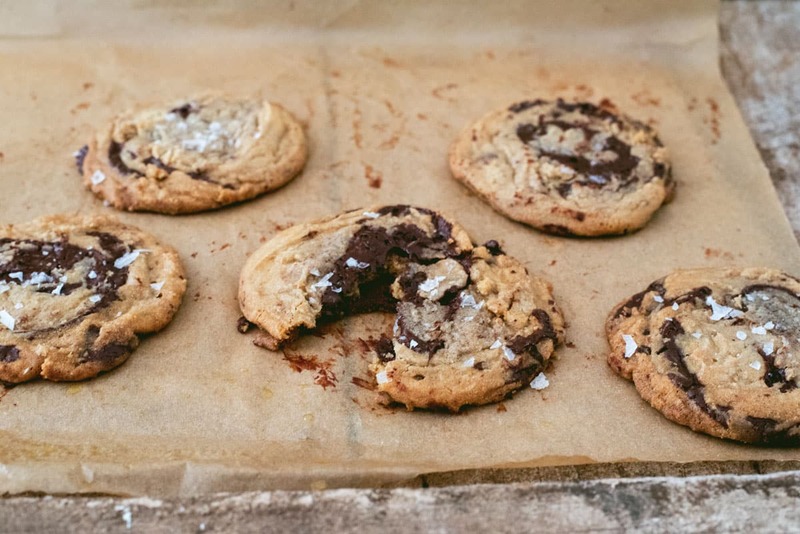 In fact, I attended a demo by Chef Nancy Silverton, and she said, I quote, “Every amazing chocolate chip cookie you’ve had in any restaurant anywhere is a spinoff of this recipe. People who deny it are lying.” Bold words, but after I made them at home, I’m convinced. They are worth trying yourself, worth the effort, and worth the fancy ingredients. 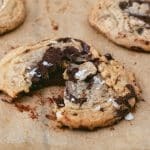 Now you have a great last-minute chocolate chip cookie recipe that doesn’t need chilling (in this post) and takes ingredients you most likely have on hand. You also have a recipe that’s a bit more labor intensive and takes some planning but is a complete show stopper. Sometimes two bests are just the right amount of best. In a separate bowl, cream butter and sugars together until very pale and light, about 5 minutes. Add eggs, one at a time, mixing well between additions. Stir in the vanilla. Reduce mixer speed to low, add dry ingredients and mix until just combined, 5 to 10 seconds. Press plastic wrap against dough chill in the refrigerator for 24-72 hours. Dough can be used all at once, or in batches. To bake, preheat oven to 350 degrees Fahrenheit. Scoop 6 3 1/2-ounce mounds of dough (the size of generous golf balls) onto a parchment paper lined baking mat. Flatten out any chocolate pieces that are poking up; it will make for a more attractive cookie. Sprinkle lightly with sea salt. Repeat with remaining dough. Bake until golden brown, but still soft, about 18 to 20 minutes. Transfer sheet to a wire rack for 10 minutes, then remove cookies to another rack to cool further. Best eaten warm. No substitutions! Make sure you buy the high quality chocolate and specialty flours recommended in the recipe and chill the dough at least 24 hours (ideally 36) before baking. Oh wow, these do look incredible! I’ll be trying these out this weekend. Thanks! I promise they are AMAZING! 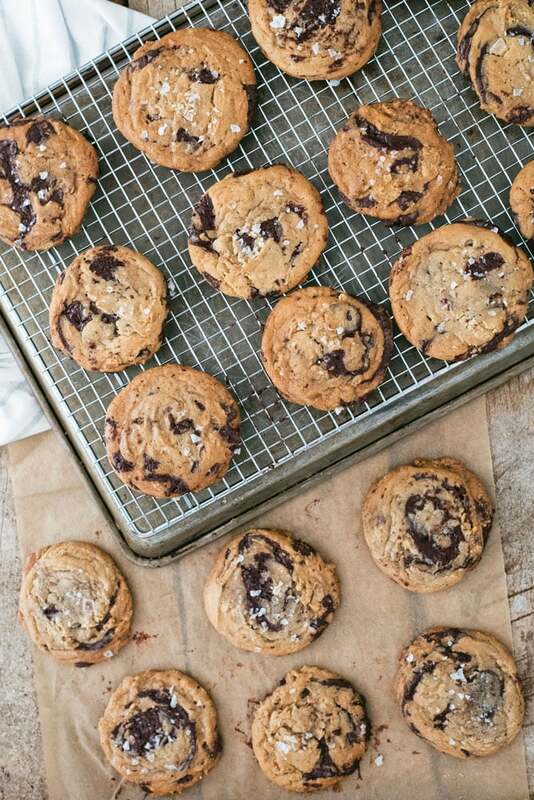 I do need some freaking fantastic choc chip cookies in MY life. Wowza do these look amazing! I love how they look, too — a little rustic, and not perfectly-perfect (not that there’s anything wrong with that)! Oh my goodness!! These look absolutely amaaazing!! They are, and worth the work! 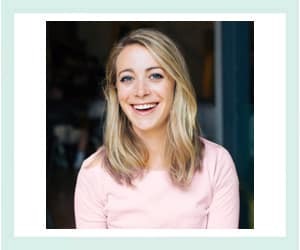 Oh wow, I have been wanting to make these for years but lost the recipe – thank you! Awesome, so happy to help! These look amazing! I need to make a batch or two of them! Ooh, I love trying out all sorts of chocolate chip cookie recipes!! These ones look amazing! I am going to put it all together this weekend. I have a friend who just told me about this recipe and then I found your blog. The only giggle I had was when you say it doesn’t need chilling when it needs 24-72 hours of chilling. I was hoping to make these tonight, but looks like I’m going to have to wait until tomorrow night!! Thanks for sharing. And then I realize my mistake…..
Two recipes in the same article. Oops!! !